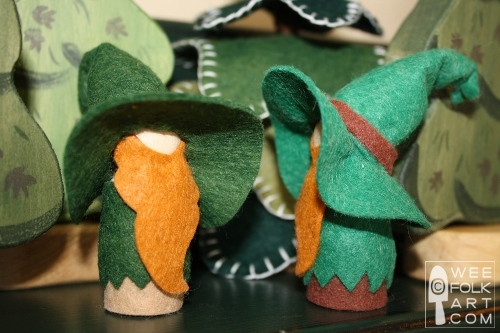 These adorable little leprechaun peg people were designed and created by Wee Folk Art. 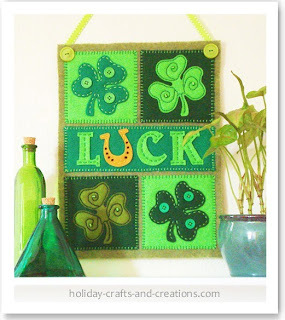 This mini shamrock banner was designed and created by Holiday Crafts and Creations. 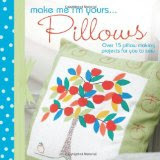 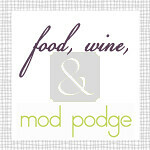 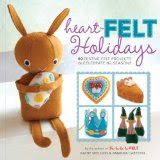 They have a wonderful website full of free patterns and tutorials for all of your favorite holidays. 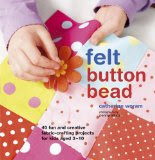 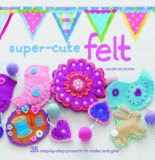 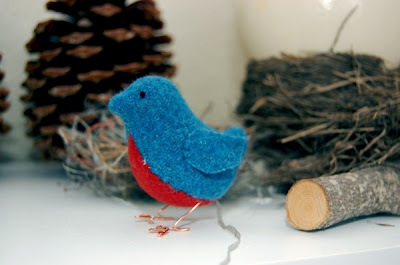 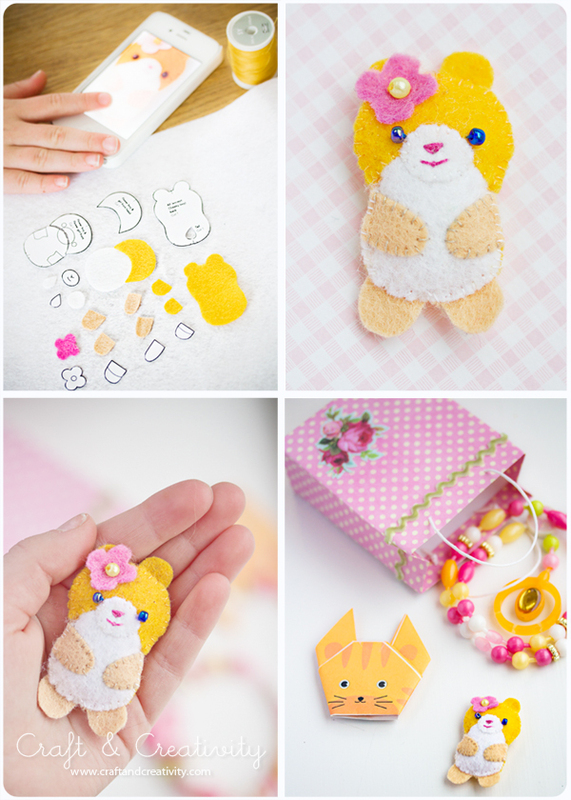 This sweet little felt hamster was designed and created by Craft & Creativity, and featured in Mollie Makes magazine. 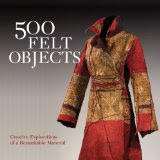 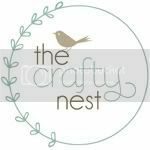 Click here to visit the Craft & Creativity website. 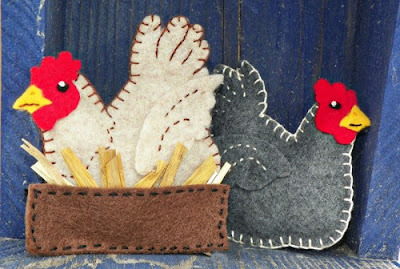 Plush farm chickens designed and created by Downeast Thunder Farm. 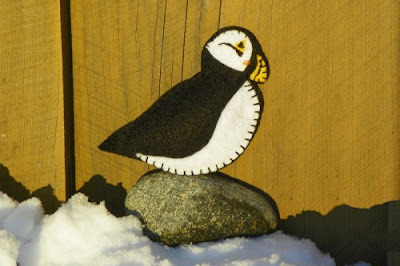 This Atlantic Puffin ornament was designed and created by Downeast Thunder Farm. 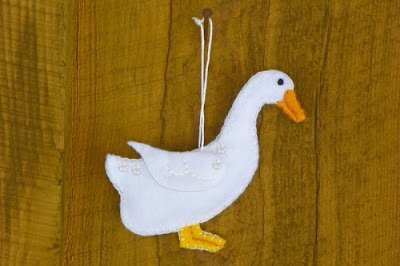 This adorable duck ornament was designed and created by Downeast Thunder Farm. 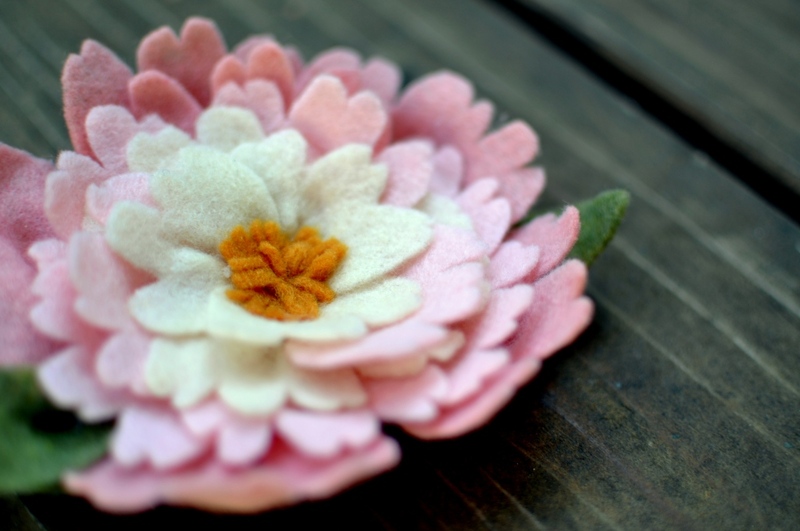 This gorgeous peony bloom was designed and created by Hopes and Seams. This adorable, handstitched purse was designed and created by Paper And String. 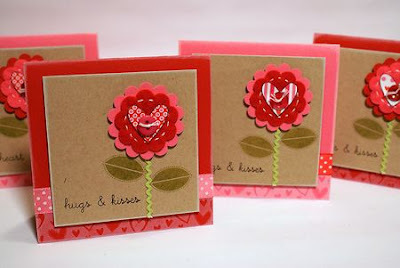 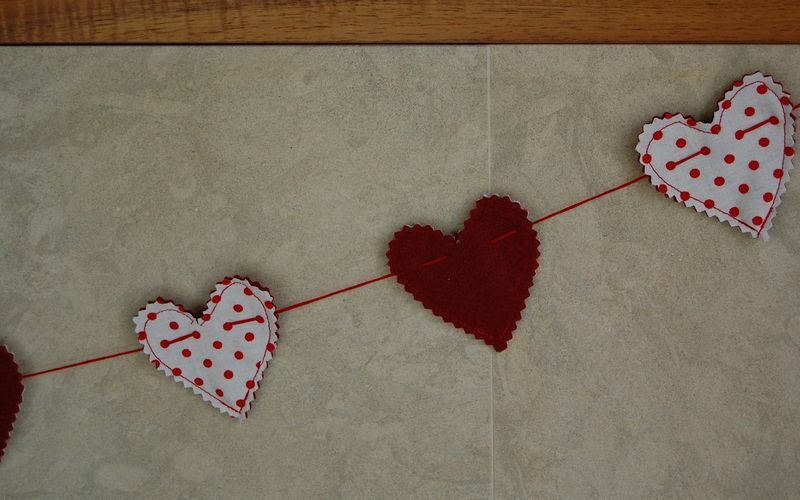 Heart embellishments designed and created by Pine Is Here. You can imagine the possibilities with these... cards, hairbands, barrettes, scrapbooks, brooches etc. 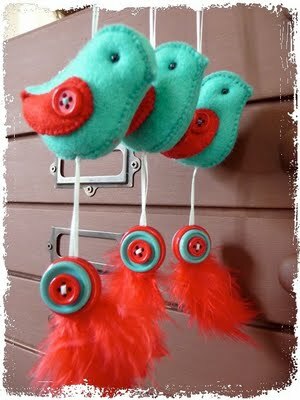 Sweetie bird is designed and created by Rhythm of the Home. 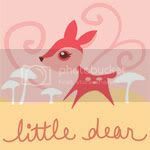 Kangaroo pattern designed and created by Rhythm & Rhyme. 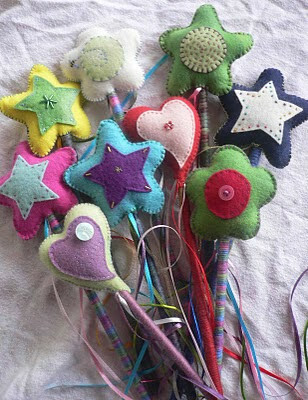 Magical wands designed and created by Rhythm & Rhyme. 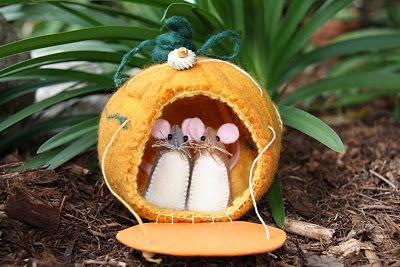 Mice and pumpkin house designed and created by Rhythm & Rhyme. Heart garland designed and created by Picnic. 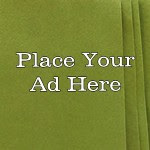 Click here for the free template. 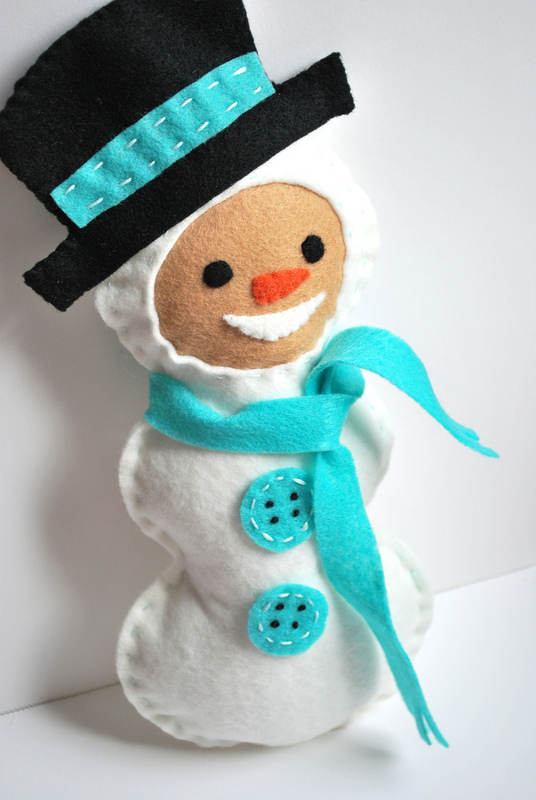 Snowman pattern designed and created by Wild Olive. 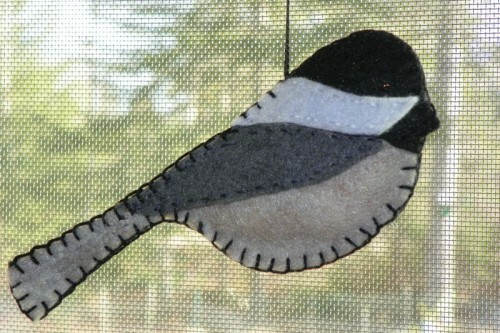 Chickadee designed and created by Downeast Thunder Farm. 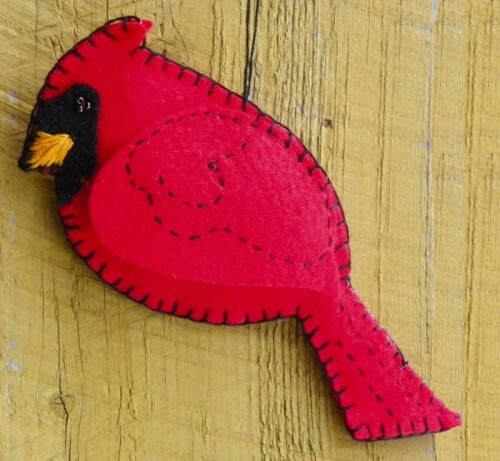 Cardinal ornament designed and created by Downeast Thunder Farm. Bird ornament designed and created by Pilgram. 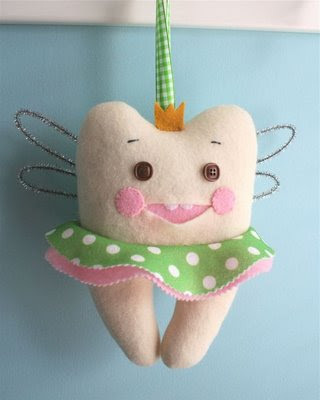 Tooth Fairy Pillow designed and created by mmm crafts.